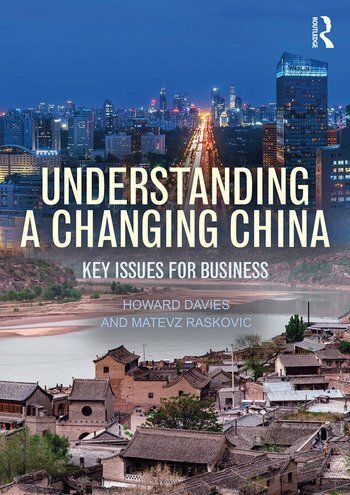 As China becomes the world’s largest economy, so it becomes important to understand the key issues shaping the country’s business environment and the behaviour of Chinese businesspeople. This is difficult because those issues are contested. Is China growing at 3% or 8%? Is the Chinese consumer going to save the world? Are state-owned enterprises national champions or zombies? Have we reached the end of "Cheap China"? Can China innovate? Is business still dominated by personal connections? Are markets or the state in control? Does Chinese culture impede or support organizational effectiveness? Are Chinese dragons at your door? Will the finance and property sectors implode? Is the Chinese model sustainable, or will it end in tears? On all these issues there is ill-informed "noise", and an abundance of partisan interpretations. The purpose of this book, therefore, is to provide an even-handed analysis of the key issues that will shape the threats and opportunities arising from China’s development in the next decade. It cannot resolve the competing claims made. However, it does provide the reader with the ideas and the sources of evidence needed to understand and to make well thought-out judgments as China continues to evolve. 2. China’s Miracle, China’s Tensions – the Four "izations"
3. China’s Strategy for Development: From "Crossing the River by Feeling the Stones" to "Revving up the Consumer"
7. The End of "Cheap China"? 9. Entry Strategies for the Chinese Market: Is the Joint Venture Dead? 13 The Challenge from China: How Serious? 14. Will It End in Tears? Howard Davies is Adjunct Professor at Hong Kong Polytechnic University. He served in the Faculty of Business from 1990 to 2013, as Professor, Dean, and Associate Dean. His publications on China Business include papers in Strategic Management Journal, Journal of International Business Studies and Organization Studies. Matevz Raskovic is Senior Lecturer in International Business (tenure track) at the School of Marketing and International Business, Victoria University of Wellington, New Zealand. He was also 2017 Fulbright Visiting Scholar at FAS Sociology, Harvard University, and was previously Assistant Professor at Faculty of Economics, University of Ljubljana, Slovenia.